For the first time, the challenge is hosted outside Bangers 'n Mash and the spice of choice is associated with sweet recipes. The choice was motivated by all the fresh flavours that early spring brings us. Fruits desserts, ice-creams, all delights enhanced by vanilla and then there is the prospect of outdoors eating, what would a picnic be without cakes? We've have teamed up with a small family-run company Naturally Good Food which "offers the best wholefoods and free-from foods to match your larder and your purse". The company was born out of need for good value healthy food to feed the kids. it started as a local bulk buying group. Decades later, Cathal and Sue operate a leading wholefood shop on the web from a modern eco buiding near Rugby. The scale may have changed but the company is still very much customers focused and the owners easy to talk to. So to your pods and see you on the May's entries list. 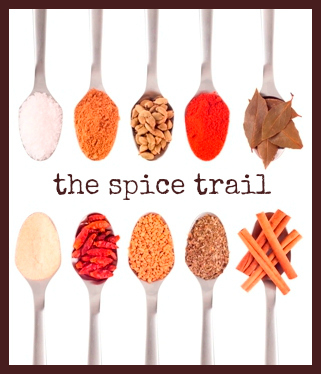 Display The Spice Trail badge (above and also available here) on your recipe post, with a link back to Pebble Soup and Bangers 'n Mash, and details of this month’s challenge. 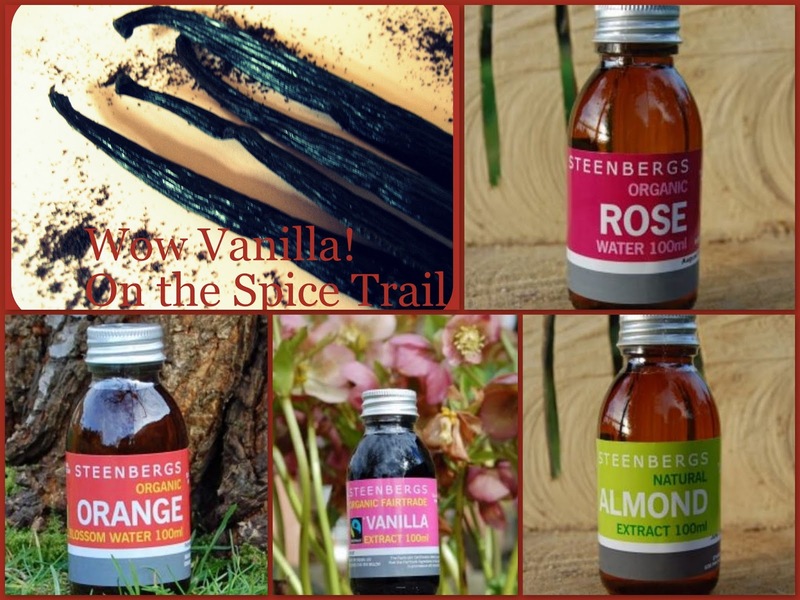 Up to three recipe links accepted per blogger, so long as each one features vanilla. Feel free to link up recipe posts from your archive, but please add the information about this challenge to the post and The Spice Trail badge. Use The Linky below to enter your recipe(s) or if you prefer send your recipe URL to me at pebblesoup-at-gmail-dot-co-dot-uk, including your own email address and the title of your recipe or post. The closing date this month is Wednesday 28 May 2014 at 17.00. If you tweet your post, please mention #TheSpiceTrail @Solangeweb and @BangerMashChat in your tweet and we’ll retweet each one we see. As entries come in, links coming by mail will be added to the bottom of this page. At the end of the month a guest judge will choose a winning recipe and the winner this month will receive a selection of products from Naturally Good Food as described above. We are looking forward to seeing your Vanilla recipes. Any questions, please tweet or email me. And thanks to everyone who is entering May's Vanilla Challenge. Me neither, it's going to be very interesting. What's New in the Kitchen #8 : "That's Weird"